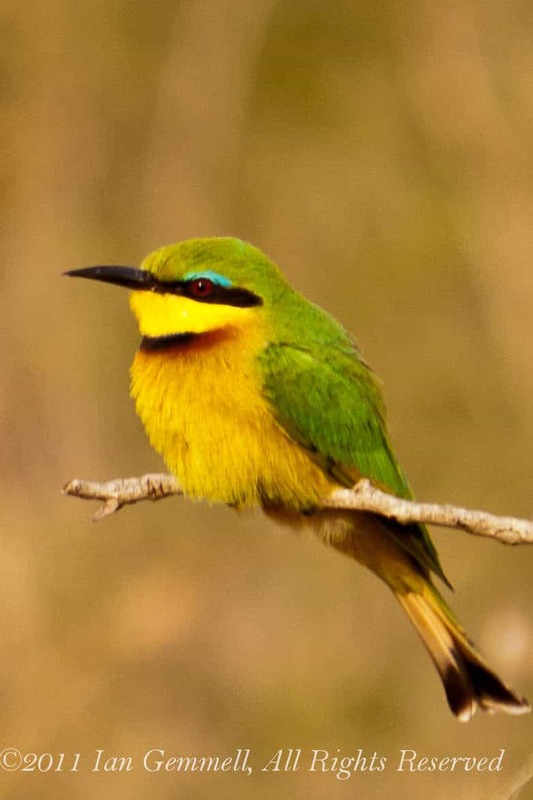 The Little Bee-eater is resident in much of sub-Saharan Africa. This is an abundant and tame bird, familiar throughout its range. There have been estimated to be between 60-80 million Little Bee-eaters. It breeds in open country with bushes, preferably near water. Just as the name suggests, bee-eaters predominantly eat insects, especially bees, wasps and hornets, which are caught in the air by sorties from an open perch. Photograph taken in the Imfolozi-Hluhluwe Game Reserve, Kwazulu-Natal.